Lunenburg has a long and fascinating history. Little is known about the earliest First Nations occupation of the Lunenburg Peninsula, but the first Europeans to arrive were the Acadians, who established a small logging and farming community they named Merliguesche between 1630 and 1680. A century later, the British selected the little harbour for a new settlement of 1,453 ‘Foreign Protestants’ recruited from the German Palatinate, Swiss-German, and French Montbéliard regions of Europe. In 1753, the first settlers landed and granted town lots by lottery. Ignoring the harbour’s steep terrain, the town was surveyed using a ‘model plan’ of geometric streets and blocks that had been drawn in England. Work began immediately to enclose the town with high palisade fence, forts and defensible barracks called blockhouses. The Board of Trade’s visitor centre on Blockhouse Hill is a replica of those early defences. Despite some early challenges, the tenuous settlement survived and slowly expanded. Though primarily farmers in their home country, Lunenburgers increasingly turned to the sea for their livelihood and by the early 19th Century were travelling as far as Labrador in search of fish. They later turned to trawling on the Grand Banks, and developed a highly profitable operation that energized Lunenburg’s dockyards, local cod fish processing, and export trade with the West Indies. This thriving economy was reflected in Lunenburg’s ornate wood architecture, many of which displayed the characteristic ‘Lunenburg Bump’ dormer. Lunenburg’s growth continued into the early 20th Century. By then Lunenburg had spread far from its original grid to include the ‘New Town’ section of streets running west from the head of the bay. Business grew too, with the Lunenburg Foundry ironworks supporting the shipbuilding and rail industries, and the shipyards annually launching large fishing vessels. In 1921 the Smith & Rhuland Shipyard launched the most successful fishing and racing schooner in Canadian history. Named Bluenose, the schooner faced the best of the American fishing fleet in the prestigious International Fishing Series Races, and won every contest over seventeen years. During the Second World War, Lunenburg made a significant contribution to the war effort, providing everything from ships to balaclavas. Over the same period the town hosted Camp Norway, a facility to train exiled Norwegian whalers for the Royal Norwegian Navy and accommodate Canadian sailors while their ships were being re-fitted. 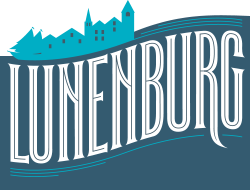 Throughout their history, Lunenburgers have maintained the town’s distinctive town plan and architecture. 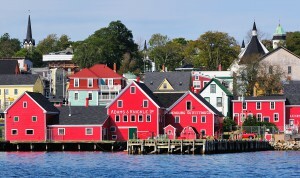 The grand Lunenburg Academy was named a National Historic Site of Canada in 1983, and a decade later the ‘Old Town’ streets and buildings were recognized as a National Historic District of Canada. 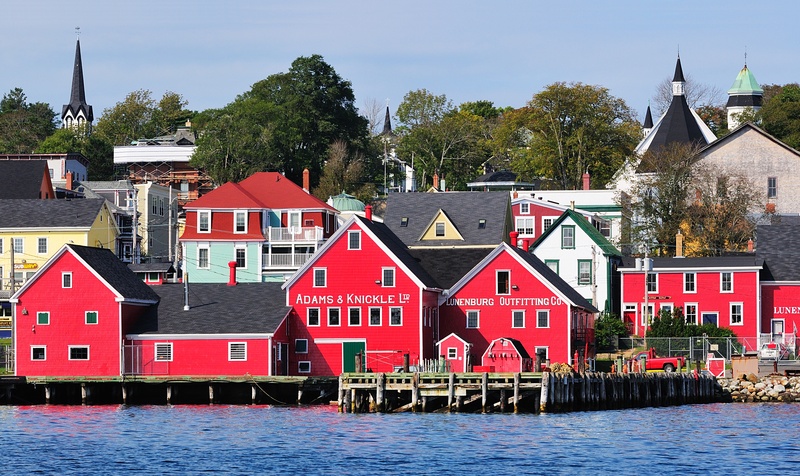 International recognition of Lunenburg’s heritage came in 1995, when the Old Town was inscribed to the UNESCO World Heritage list for its intact model town plan, its diverse range of well-preserved buildings, and its strong connection to the north Atlantic fishery. Two more places —St. John’s Anglican Church and Knaut-Rhuland House— have since been named to Canada’s register of National Historic Sites.